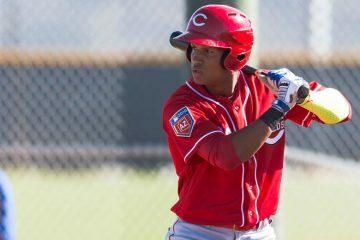 The Cincinnati Reds signed Juan Martinez in October of 2015 out of Venezuela. The infielder spent his first year in the DSL, hitting .281 for the Rojos. In the 2017 season he moved up to the Arizona League, but had some struggles as he hit .220 with 13 walks and 43 strikeouts in 40 games. 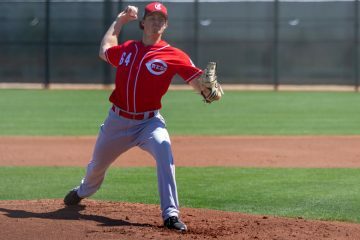 Despite some struggles, Cincinnati felt confident to send him to their new affiliate in Greeneville to start his 2018 season. On opening day in Greeneville he got things started the right way, going 2-3 with a double, walk, and he scored a run. Over the next three days he went hitless, going 0-8, but he walked five times in the process and scored six runs. In the final three games of the month he would rack up two more walks and three doubles. With the season starting late in June, he only played in seven games during the month, but hit .286/.500/.476. 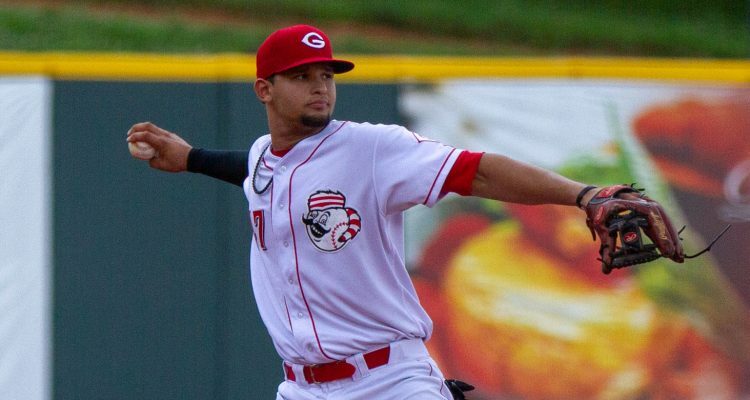 July started back in Greeneville where Juan Martinez went 0-4 on the 1st. He would pinch run on the 2nd, and that would mark his last appearance for the Reds in Greeneville. 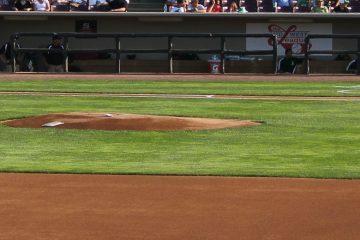 He joined the Billings Mustangs on the 5th. His first week with the Mustangs went well as he hit .278/.350/.500 with a double and a homer. Things slowed down the next two weeks, though. In those 10 games he hit just .171 with four walks and just two extra-base hits. The month closed out on a high note, though. He went 6-10 in the final four games with a double, triple, and a home run. Overall in 74 plate appearances during June he hit .254/.324/.463. That came with seven extra-base hits, six walks, and he struck out 19 times. There was some give-and-take in the first week of August for Juan Martinez. He hit .286 and slugged .476 in five games. But he didn’t draw a walk and had six strikeouts on the week. The infielder went on a tear over the next two weeks, hitting .366 with four extra-base hits in the next 12 games. As hot as that stretch was, the following five games were just as cold. He went 0-17 with three strikeouts and a walk in that span. On August 28th he busted out of the slump in a big way, going 3-4 with two home runs. His final week of the year was solid. He’d finish the final five weeks by hitting .277/.309/.455 with five home runs. That came with six walks and 22 strikeouts. Hitting | He’s got a below-average hit tool. There are some concerns about his swing mechanics that may need to be corrected as he moves up the ladder. Power | This is where the scouting report jumps out a little bit. He’s got above-average power potential, especially if his frame continues to fill out. Speed | He’s a below-average runner. Defense | Currently he’s a well below-average defender at third base. He made 14 errors in 52 games this past season at third. But long term he’s got the hands and the arm to be a solid defender. Arm | He’s got plenty of arm for third base. Juan Martinez is raw, but has tools to work with. Offensively he’s got more power than hit, but has a chance to hit enough to be a starter. The power development, along with his approach, will probably be the difference offensively. 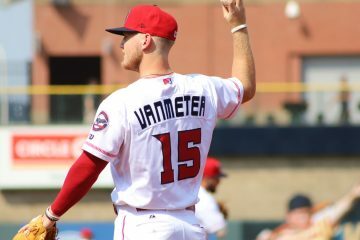 He cut his strikeout rate in 2018, and he raised his walk rate – but that was mostly built on his eight walks in nine games in Greeneville. His walk rate in Billings was down a bit from his 2017 rate. Defensively he’s got plenty of work to do. As noted above, he made a bunch of errors at third base. His fielding percentage at the position in 2018 was .895. That’s the same that it was in 2017. It was .892 in 2016. He’ll be 20-years-old next season, so there’s certainly all kinds of time to work on the things he’ll need to work on. The tools are there for him to stick at the position, but he needs to be able to take those tools and turn them into more rounded skills. 452 Feet on July 29th. He hit much better at home than on the road in 2018. His road OPS was .896 with 13 extra-base hits. In four more plate appearances on the road he had just six extra-base hits and a .709 OPS. How is this guy a prospect at almost 30 yrs old? Born in 1989? 1998 not 1989. 20 years old by my math. I wonder who gets the 3B job for Dayton this year. I would think it’s between Martinez and Dylan Harris. Then again, looking now, Harris is already 24 years old. I would guess we see Martinez as the starting 3B, and Harris on the Dragons as depth. Harris could back up Martinez at 3B and back up Rylan Thomas at 1B. Prognosis: A lot of potential in the lineup, the pitching looks like it might be awful. Yeah, it’s definitely not going to be Mondile in the rotation. He was released in July. Woah, for a “rules violation”. Always makes me wonder what kind of thing a player has to do to get released outright. I think the last player I remember to get released like that was Ian Kahaloa. Forgot about that. Not having Josiah Gray for that rotation hurts. I agree with your lineup Duke. I even like your batting order. I think Dylan Harris is in Daytona. I know it is a jump but playing every day in Daytona is better than coming off the bench in Dayton. Odds are he blows up but if he succeeds he is a prospect. A 24 year old bench player in Dayton is not a prospect. My pitching is Alexis Diaz, Marinan, Solomon, Alecis and either Ricky Salinas or Mac Sceroler. Do you have Diaz starting in Daytona? Jonathan India will be in Daytona, so not like he’s getting a lot of at bats there either.